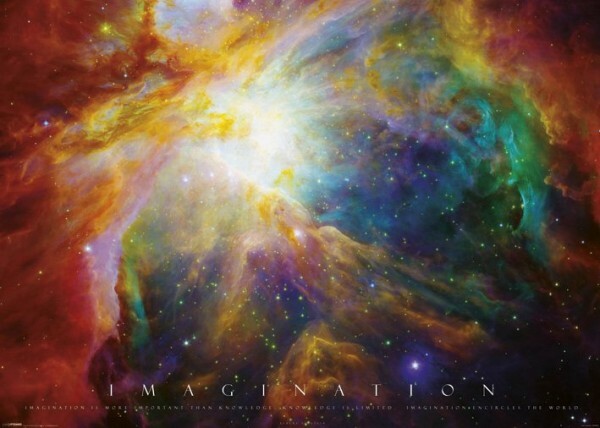 Photographic posters - Space posters: Giant size photographic poster of a nebula in space, This nebula poster shows a huge collection of stars and galaxies in glorious colour and allows the mind to wonder what is really or could be out there and where we stand in the universe. The poster also reads, Imagination is More Important than Knowledge. Knowledge is Limited. 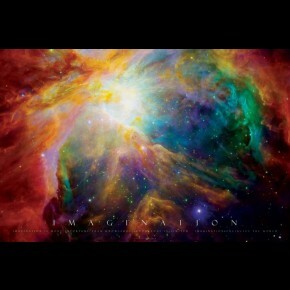 Imagination Encircles the World.